Sustainability Consult, as a 1% for the Planet member, is committed to giving 1% of its sales to an environmental non-profit. We chose local NGO Natuurpunt as it works with nature preservation around Brussels and the Flanders region. The joint project is a signposted footpath in the Steentjesbos, a 47 hectare wood in Kampenhout, a unique piece of natural beauty outside Brussels. 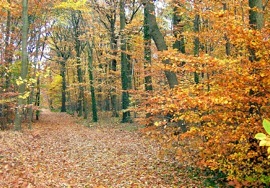 The Steentjesbos wood is a vital link in a larger network of sites, mostly large forest complexes, significant for the preservation of local biodiversity. The new signposted footpath, information boards, children’s play area, rest bench and totem pole, all funded by Sustainability Consult, will make this local beauty spot more accessible for walkers and families to visit. The project is funded by Sustainability Consult as part of its 1% for the Planet commitment and will be created and maintained by Natuurpunt. The new Steentjesbos footpath will open in August 2013. Natuurpunt is doing great work to preserve nature in Belgium. It has been our great pleasure to bring Natuurpunt into the 1% for the Planet family and to open up the Steentjesbos to the public like never before. This wood is 30 kilometres (18 miles) from the Sustainability Consult office so we expect to make good use of the footpath ourselves. We look forward to seeing our joint project becoming a reality. We also hope the weather will be great in August and people will be able to enjoy it. How Feasible is 100% Renewable Energy?